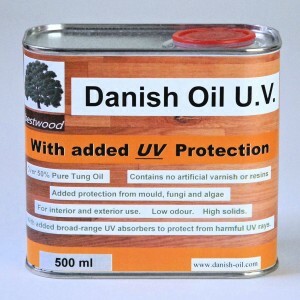 Category: Danish Oil UV Exterior. Specifically designed by us to have all the benefits of Pure Tung Oil, combined with a FASTER DRYING TIME (4-6 hours per coat), and ENHANCED EXTERIOR PERFORMANCE. 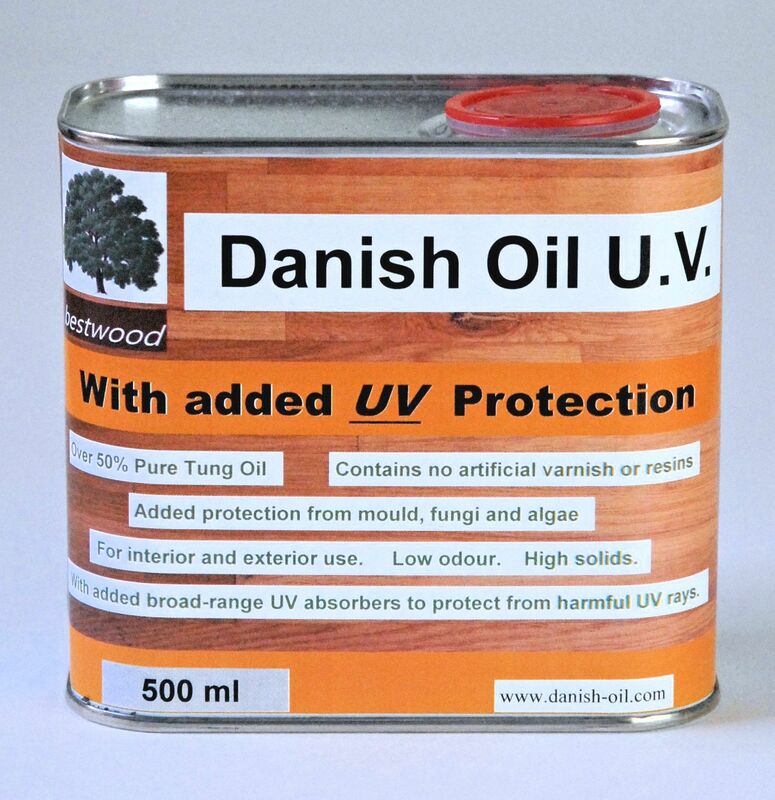 We have often been asked if we make a ‘UV’ enhanced version of our ever popular Bestwood Danish Oil. Following extensive research and testing, we now have a product available. It contains over 50% Pure Tung Oil, you get twice as much for your money as some other well known Danish Oils. It penetrates deep into wood, protecting and nourishing from the inside out. It enhances the natural beauty of wood, giving a lovely low sheen finish which will not crack, chip or flake. Higher solids means fewer coats, typically our Danish Oil will do the same in 2 to 3 coats that you would need 4 or 5 coats for elsewhere. It is very easy to apply with a cotton cloth or a brush. It contains no artificial varnish or resins, only pure natural tung oil, used and proved for protection over hundreds of years. It has a very low odour when drying, and none when dry. It is food and toy safe when dry, and non marine-polluting in the can. It is dirt resistant, and will resist stains from wine, beer, coffee, tea, coca-cola, orange juice, and solid foods. It is naturally water-resistant, yet microporous to water vapour allowing the wood to ‘breathe’. FREE FIRST-CLASS DELIVERY. All orders received before 2pm Monday to Friday are sent same day. Weekend orders are sent out on Monday. All orders sent free by first class post (UK mainland only). NO HIDDEN CHECKOUT CHARGES. The price above includes VAT and postage. This is the price you will pay. 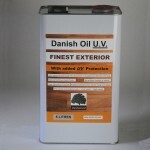 Please BUY NOW for the best quality Danish Oil, GUARANTEED. We love happy customers. If you don’t agree with us that this is the best Danish Oil you can buy, return it to us within 30 days for a full no-quibble refund. Want to know more about Danish Oil? 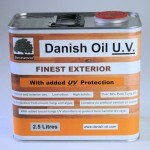 Please visit www.danish-oil.com for more information.